I have a Geforce 7950 GX2 or Geforce 7900 GX2 dual GPU graphics card. I can't figure out how to enable "Multi-GPU mode" or "Multi-display mode". 1) Open the Microsoft Windows Display Properties by Right-Clicking over any part of your Desktop -> from the pop-up menu, choose "Properties"
3) From within the advanced section of the display properties, click on the tab to the corresponding graphics card you are using. From the left pull out window, choose "Control Panel User Interface". 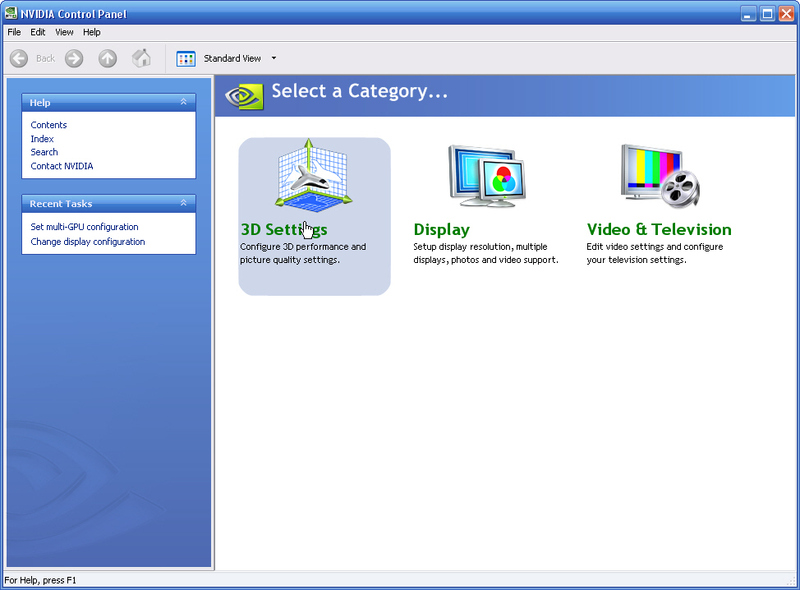 On the right panel, you will see screen similar to the image below. 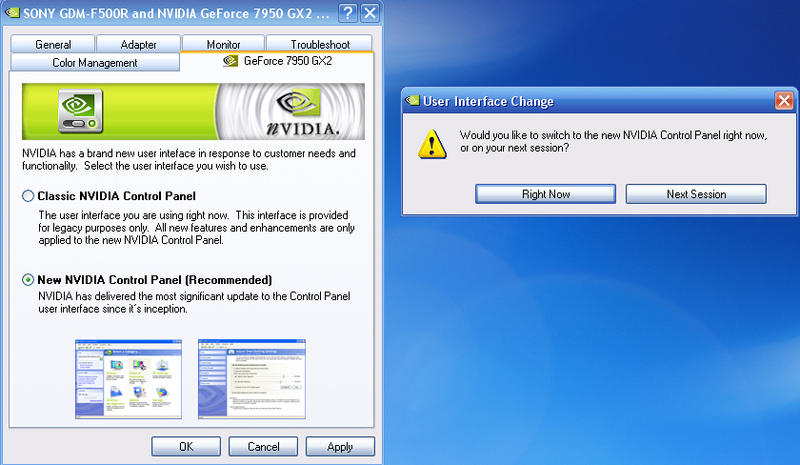 Choose "New NVIDIA Control Panel (Recommended)" and then click on the "OK" button.. A window will appear asking you to confirm your selection. Choose "Right Now". 4) This will bring up the NVIDIA Control Panel. Choose the "3D Settings" button. 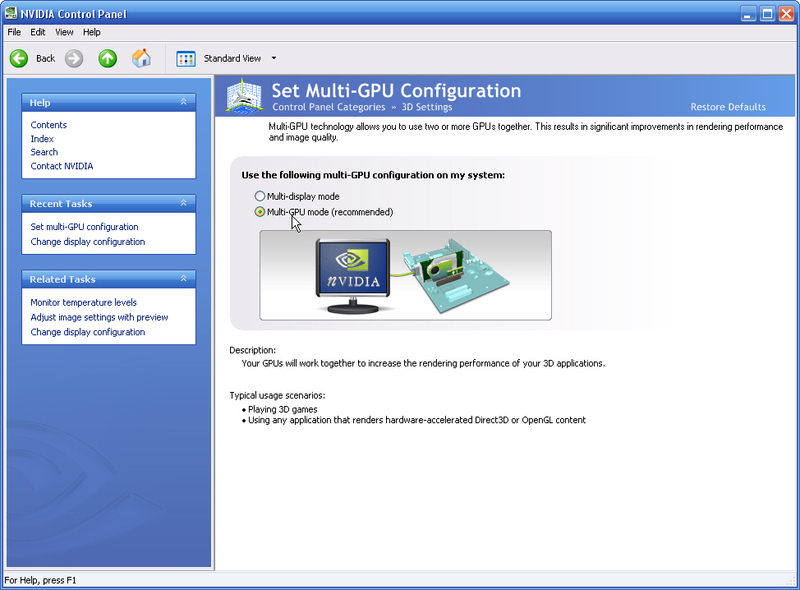 6) This will bring up the "Set Multi-GPU Configuration" page where you may switch between "Multi-display mode" and "Multi-GPU mode".